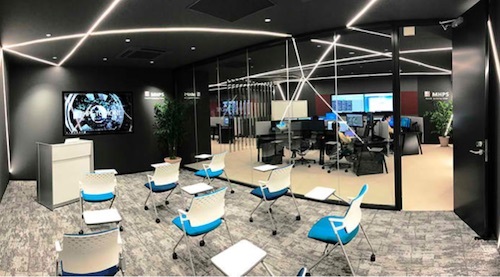 YOKOHAMA, Japan, Jan 21, 2019 - (JCN Newswire) - Mitsubishi Hitachi Power Systems, Ltd. (MHPS) has established a Remote Monitoring Center (RMC) in its Nagasaki Works in Nagasaki. The RMC supports operations and maintenance (O&M) for various types of power generating equipment, including steam power plants, as well as integrated coal gasification combined cycle (IGCC), gas turbine combined cycle (GTCC), and geothermal power systems. The RMC enhances the availability and reliability of power generating facilities, while also expanding after-sales service functionality by strengthening solutions capabilities that utilize MHPS-TOMONI digital solutions. This is MHPS' fourth RMC, along with centers in Takasago (Hyogo Prefecture, Japan), Orlando (Florida, USA), and Alabang (Muntinlupa, Philippines). The newly established RMC will support O&M by monitoring the overall status of power plants, focusing on the boilers and steam turbines in a steam power plant, and coal gasifiers in IGCC plants. For geothermal power plants, O&M support is expected to focus on monitoring corrosion within steam turbines of geothermal generators - as these are often placed in harsh environments that are highly susceptible to corrosion. For GTCC plants, the new RMC will monitor the bottoming cycle(1), occurring in heat recovery steam generators and steam turbines, while working in tandem with the Takasago RMC and providing O&M support for gas turbine cycles. (1) The cycle that generates energy using exhaust heat from the gas turbine cycle.